This is one rock show that everyone is crazy about — FM99 Lunatic Luau! 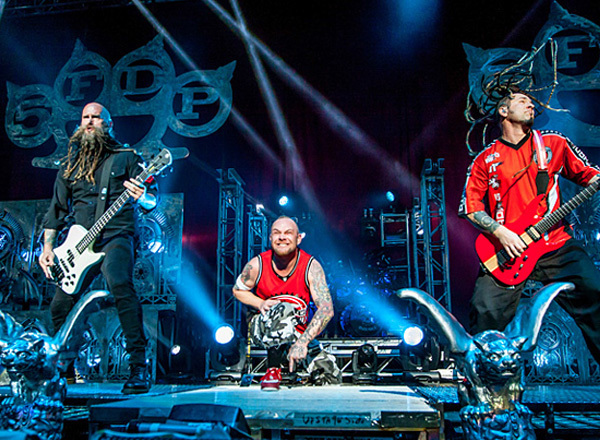 The 2016 line-up boasts of rocks finest hard-hitters: Five Finger Death Punch, Shinedown, Bush & P.O.D. These bands are joining forces onstage to rock, jam, and slam the night away and give you the loudest, edgiest, and heaviest rock show this year. Rock fans from different speeds, volumes, and intensities will converge into this one wild, electrifying extravaganza. Don’t be left behind, go get your tickets now! Lunatic Luau is FM99’s annual rockfest and is now running on its 15th year. This event was launched in 1997 with over 18,000 FM99 fans flocking to GTE Virginia Beach Amphitheater to witness performances by Faith No More, Our Lady Peace, the Nixons, and Seven Mary Three, and many more. Since then, it has been one of the most anticipated rock shows under the banner of a radio station. One of the biggest shows was captured and immortalized on P.O.D.’s music video “Satellite”. In Lunatic Luau 6, which took place July 21, 2002, P.O.D.’s headlining performance onstage of the said song was filmed 3 times with cameras rolling all over the band and the pumped-up crowd. That same event was also memorable as it was one of Drowning Pools’ final shows with Dave Williams, who passed away three weeks later. The Lunatic Luau stage has become some sort of a yearly pilgrimage not only for rock fans but also for rock bands themselves. 3 Doors Down, Clutch, Nickelback, Beautiful Creatures, Primer 55, Soil, Sea Of Souls, Systematic, Seven Channels, Epoxy, Rock Iron Puppets, Lift 6 Eighteen, Bailout, Godsmack, The Pretty Reckless, Slayer, Papa Roach, Halestrom, Testament, Exodus, Starset, Hellyeah, Suicide Tendencies, We Are Harlot — these are just some of rock’s biggest names who keep this crazy good tradition alive and kicking!